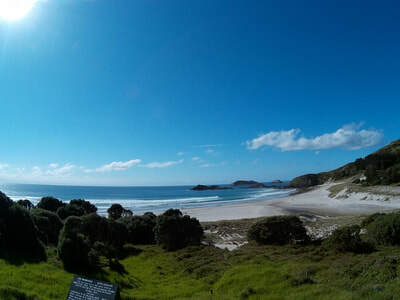 Tāwāhi - meaning "Overseas"...."the other side of the Sea"; is a two bedroom purpose built guest house. 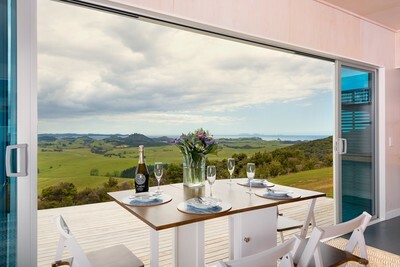 Perfectly positioned on the north face of Kauri Mountain offering big coastal and mountain views. 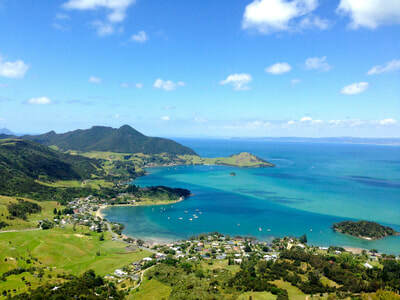 Tāwāhi sits high on the East Coast of Northland, in the Whangarei Heads area. Comfort and style await in this unique space making this... "The perfect Northland escape pad". Wow, "Tawahi" was absolutely beautiful, modern and tastefully decorated, very clean and very comfortable. Not far out of town, so grab your supplies because when you get here you can just kick back and relax in this peaceful setting, taking in the most amazing scenery by day and sitting with a glass of wine under the stars on the lovely deck at night listening to the kiwis calling. We just didn't want to leave. It's just magic."